Pulse Width Modulation (PWM) regulators are the most effective means to achieve constant voltage battery charging by switching the solar system controller’s power devices. When in PWM regulation, the current from the solar array tapers according to the battery’s condition and recharging needs. Click here for more info on PWM. Maximum Power Point Tracker (MPPT) regulator / controllers can be used for additional daily production. 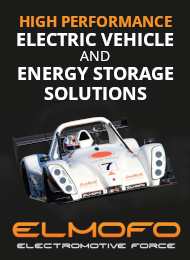 They allow the solar panels to run at a voltage where they produce the most power (generally higher than battery voltage) and perform a voltage conversion to a level suitable for battery charging, with a higher charging current. They periodically sweep / track the optimum voltage level throughout the day to maintain the highest output. Victron Energy were founded in the Netherlands where all their products are still designed and engineered today. Manufactured and sold internationally Victron sell everything from small-scale, recreational and marine application products to large-scale, high performance off-grid components. Their new range of ‘Smart’ technology brings user control and monitoring to your smart phone and computer giving you maximum control and coverage of your products. Studer Innotec are a Swiss company producing high quality inverters, regulators and battery chargers. 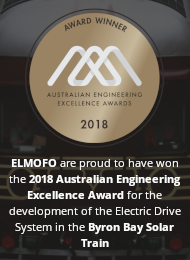 We have been using their Xtender series of inverter-chargers and MPPT regulators for over a decade in residential and commercial off-grid applications. 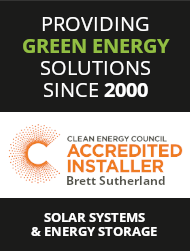 Solar Power Australia is an official Studer distributor and our team are highly qualified to design, install and troubleshoot Studer systems. Steca solar regulators are designed in Germany and used throughout the world. We have found these units to be very user friendly, reliable and good value. Morningstar Corp are a US based company manufacturing a range of quality solar regulators. Of particular interest are their epoxy sealed models with marine rated terminals. The Morningstar range are rated for 25% overloads. Plasmatronics solar regulators are manufactured in Australia. 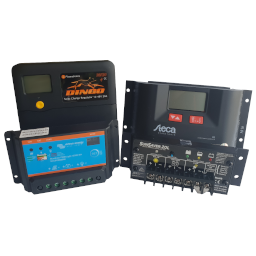 These versatile, high quality units are very popular for larger systems as they are fully programmable, offer a large amount of system monitoring information and incorporate data logging. The PL range supports external shunts to allow monitoring of external charging sources and high current loads, such as inverters. Outback Power Systems Maximum Power Point Tracking (MPPT) solar charge controllers are manufactured in the USA. Designed for larger systems, their sophisticated electronics allow the solar array to run at it's optimum voltage providing daily power production gains of up to 30%. 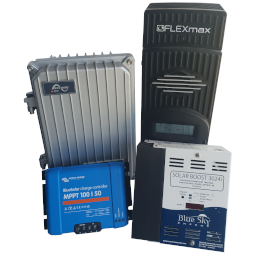 Blue Sky Energy (Solar Boost) are a US based manufacturer offering a range of high quality Maximum Power Point Tracking (MPPT) solar charge controllers including cost effective units for smaller 12V applications, through to larger units with networking capability. Expect increases in charge current of up to 30%. If you have a preference for other brands, please contact us for pricing.